Q1 2014 revenue up 7% over Q1 2013 to US$ 89.4 million as a result of the expansion of the core vessel fleet and high vessel utilization. Topaz Energy and Marine has announced the results of its subsidiary Nico Middle East Ltd. (“NMEL”) for the three months ended 31 March 2014 (“the period”). The period has seen continued strong and profitable growth across the Group’s activities with revenues up 7% and EBITDA up 22%. This growth is primarily attributable to new vessels that have been added to the fleet and the improved utilization we have achieved across our core fleet. We have won a number of new contracts during the period resulting in a total backlog of medium and long-term contracts amounting to US$ 1.20 billion. Revenue increased by $5.6 million, or 6.7%, to $89.4 million in the period compared to $83.8 million in the quarter ended March 2013. This increase is primarily due to: (i) the addition of four new vessels resulting in an increase of $8.2 million and, (ii) better utilization and increase in vessel day rates resulting in an increase of $4.9 million. The increase in revenue was partially offset by two vessels which were moved from time charter contracts to bareboat contracts $1.8 million; loss of revenue due to vessels under dry-docks / off-hire $5.1 million and loss of revenue due to vessels sold $0.6 million. In the period, revenue increased by $1.8 million, or 3.6%, to $51.7 million compared to $49.9 million in the quarter ended March 2013. This increase was primarily due to the addition of two new vessels contributing $5.5 million in the period and better utilization resulting in an increase of $1.4 million. The increase in revenue was partially offset by two vessels which were moved from time charter contracts to bareboat contracts $1.8 million; loss of revenue due to two vessels in dry-dock $1.2 million; loss of revenue due to three vessels off-hire during mobilization between contracts $1.5 million and loss of revenue due to two vessels sold $0.6 million. In the period, revenue decreased by $0.4 million, or 1.8%, to $22.1 million compared to $22.5 million in the quarter ended March 2013. This variance is mainly due to the increase in the day rate for one vessel, resulting in an increase of $1.1 million offset by lower utilization in eight vessels by $1.5 million. In the period, revenue increased by $4.1 million to $16.2 million compared to $12.1 million in the quarter ended March 2013. This increase was primarily due to the addition of two new vessels contributing $2.8 million in the period, demobilization revenue of one vessel resulting in an increase of $1.1 million and better utilization resulting in an increase of $2.2 million. This increase in revenue was partially offset by loss of revenue due to three off hire vessels resulting in a decrease of $2.0 million. Direct costs for the period decreased by $5.6 million, or 10.1%, to $49.9 million as compared to $55.5 million in the quarter ended March 2013. 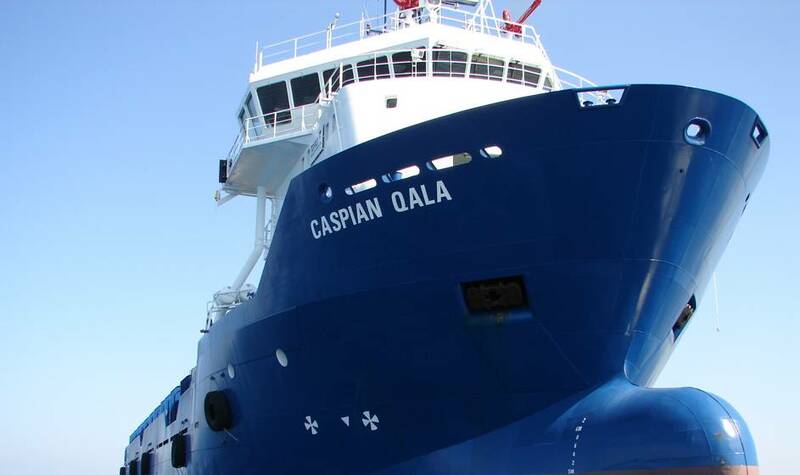 The decrease in bareboat charges is mainly due to the acquisition of two large anchor-handling vessels that were previously on bareboat charters in the Caspian. As a result of the acquisitions, these vessels will not contribute to bareboat charges in 2014. EBITDA increased by $7.7 million, or 21.9%, to $42.8 million in the period compared to $35.1 million in the quarter ended March 2013. This increase is primarily due to: (i) the addition of four new vessels resulting in an increase of $5.7 million (ii) better utilization and increase in vessel day rates resulting in an increase of $6.5 million and (iii) savings in bareboat cost relating to two vessels,as explained above under Direct costs, resulting in an increase in EBITDA of $2.7 million. The increase in EBITDA was partially offset by two vessels moving from time charter contracts to bareboat contracts $0.5 million; vessel off-hire $4.0 million and loss of revenue due to vessels sold $0.5 million. The increase in EBITDA was also partially offset by an increase in overhead costs of $2.2 million which mainly relates to bad debt provisions. The increase in EBITDA by $5.1 million is mainly due to the addition of two new vessels contributing $3.7 million, savings in bareboat costs for two vessels contributing $2.7 million and better utilization on two vessels contributing $1.0 million which is offset by loss of EBITDA on vessels operating under winter lay-ups resulting in a decrease of $0.8 million; due to vessel off-hire $1.0 million and loss of revenue due to vessels sold $0.5 million. The increase in EBITDA by $0.4 million is mainly due to better rates on one vessel contributing $1.4 million which is offset by lower utilization on six vessels resulting loss of EBITDA by $1.0 million. The increase in EBITDA by $2.7 million is due to the addition of two new vessels contributing $1.9 million; better rates on one vessel contributing $0.9 million and better utilization of four vessels contributing $3.2 million. This increase is offset by loss of EBITDA on three vessels of $1.1 million and a bad debt provision on a contract in Nigeria amounting to $2.2 million. Administrative expenses of $8.9 million, excluding one-off provisions, are in line with the expenses in the same period last year. However we have made a one-off bad debt provision of $2.2 million in the Global region resulting in an increase in administrative expenses by $2.2 million or 24.7% as compared to the same period last year. Finance costs increased by $4.8 million, or 51.6%, to $14.1 million in the period compared to $9.3 million in the same period last year. The increase in interest expense was primarily due to the refinancing of certain existing debt in Q2 2013 and interest charges on senior notes raised in Q4 2013 in line with the strategic plan. Income tax expense increased by $0.4 million, or 9.0%, to $4.8 million in the period compared to $4.4 million in the same period last year. This increase is in line with the increase in revenue. The cash generation as a percentage of EBITDA has been 99% (Q1 2013: 65%).